Marc Klasfeld is an American music video director. He has directed over two hundred music videos for artists such as Katy Perry, Jay-Z, Red Hot Chili Peppers, Britney Spears, Kid Rock, Michael Bublé, Nelly, Foo Fighters, Kelly Clarkson, Charli XCX, Little Mix, Nick Jonas, Twenty One Pilots, Avril Lavigne, Aerosmith and many others with multiple award wins and nominations. His hit video for Wiz Khalifa and Charlie Puth's "See You Again"  is currently the 2nd most viewed video on YouTube at 3 billion views, surpassing Psy's "Gangnam Style" on July 10, 2017, but later surpassed by Luis Fonsi and Daddy Yankee's "Despacito" on August 4, 2017. He is also the founder of Rockhard, a music video production company that has produced videos for Justin Bieber, Lady Gaga, LMFAO, Britney Spears, Aerosmith, Prince, Mariah Carey, Kelly Rowland, Jessie J, Pixie Lott, Adam Lambert, and Big Time Rush among others. Klasfeld made his feature film writing and directorial debut in 2005 with The L.A. Riot Spectacular . He has also directed for the HBO show Oz. The L.A. Riot Spectacular is a 2005 satire film about the 1992 Los Angeles riots. Written and directed by music video director Marc Klasfeld, the film stars Emilio Estevez, Snoop Dogg, Charles S. Dutton, Charles Durning, Christopher McDonald, Michael Buffer, Ted Levine, Jonathan Lipnicki and Ron Jeremy. Jeru the Damaja "Me or the Papes"
Kim English "Learn 2 Luv"
Three 6 Mafia "Tear da Club Up '97"
Dead Prez "Food, Clothes & Shelter"
Shaggy "Luv Me, Luv Me"
B.G. "Cash Money Is An Army"
8Ball & MJG "We Started This"
Rakim "When I B On Tha Mic"
Insane Clown Posse "Let's Go All the Way"
Dave Hollister "One Woman Man"
Sticky Fingaz "Get It Up"
Shade Sheist "Where I Wanna Be"
Jay Z "Girls, Girls, Girls"
3 Doors Down "When I'm Gone"
Vanessa Carlton "A Thousand Miles"
Jermaine Dupri & Ludacris "Welcome to Atlanta"
Pastor Troy "Are We Cuttin'"
Sum 41 "What We're All About"
Alien Ant Farm "These Days"
Bon Jovi "All About Lovin' You"
Hot Action Cop "Fever for the Flava"
Thursday "War All the Time"
Destiny's Child "Lose My Breath"
Sum 41 "We're All to Blame"
Backstreet Boys "Just Want You to Know"
Bloodhound Gang "Foxtrot Uniform Charlie Kilo"
Simple Plan "Untitled (How Could This Happen to Me?)" Ashley Parker Angel "Let U Go"
DMX "Lord Give Me a Sign"
Nerina Pallot "Everybody's Gone to War"
Chamillionaire & Slick Rick "Hip Hop Police"/"Evening News"
The Last Goodnight "Pictures of You"
Vanessa Carlton "Hands on Me"
Electrik Red "Drink in My Car"
Low vs Diamond "Heart Attack"
Margot & the Nuclear So and So's "As Tall as Cliffs"
Nerina Pallot "Real Late Starter"
3OH!3 & Katy Perry "Starstrukk"
Against Me! "I Was a Teenage Anarchist"
Asher Roth "G.R.I.N.D (Get Ready It's a New Day)"
James Blunt "So Far Gone"
Far East Movement & Ryan Tedder "Rocketeer"
Allstar Weekend "Not Your Birthday"
Big Time Rush "If I Ruled the Earth"
Katy Perry "Last Friday Night (T.G.I.F.)" Red Hot Chili Peppers "The Adventures of Rain Dance Maggie"
Rise Against "Make It Stop (September's Children)"
Bella Thorne & Zendaya "Watch Me"
CeeLo Green & The Muppets "All I Need Is Love"
fun. & Janelle Monáe "We Are Young"
Rita Ora "How We Do (Party)"
Red Hot Chili Peppers "Brendan's Death Song"
T.I. & Lil Wayne "Ball"
Bella Thorne & Zendaya "Fashion Is My Kryptonite"
Train "50 Ways to Say Goodbye"
Youngblood Hawke "We Come Running"
Timbaland & Ne-Yo "Hands in the Air"
T.I. & CeeLo Green "Hello"
Mayer Hawthorne "Her Favorite Song"
Florida Georgia Line & Nelly "Cruise (Remix)"
Icona Pop "Just Another Night"
Florida Georgia Line & Luke Bryan "This Is How We Roll"
David Guetta "Lovers on the Sun"
Charli XCX "Break The Rules"
Tokio Hotel "Love Who Loves You Back"
A Great Big World "Hold Each Other"
Florida Georgia Line "Sippin' on Fire"
Andy Grammer "Good to Be Alive (Hallelujah)"
Charlie Puth & Meghan Trainor "Marvin Gaye"
Jesse & Joy & Alejandro Sanz "No Soy Una de Esas"
Fitz and The Tantrums "HandClap"
The Head and the Heart "All We Ever Knew"
Sum 41 "Fake My Own Death"
Little Mix feat. Machine Gun Kelly "No More Sad Songs"
DNCE feat. Nicki Minaj "Kissing Strangers"
CNCO & Little Mix "Reggaetón Lento (Remix)"
"Complicated" is the debut single by Canadian singer-songwriter Avril Lavigne, it was released on 14 May 2002 as the lead single from her debut album, Let Go. It was written by Lavigne and The Matrix, and produced by The Matrix. The single reached number one in Australia, New Zealand and Mexico, number two on the Billboard Hot 100, behind Nelly's "Hot in Herre" and "Dilemma" featuring Kelly Rowland and number three in the United Kingdom. Based on its chart performance, the song is Lavigne's second most successful single and was one of the most successful releases of 2002 with sales of over 3 million copies sold worldwide. Lavigne broke a record set by Natalie Imbruglia's "Torn" when "Complicated" held the number one spot on the Adult Top 40 chart for 16 weeks in a row. 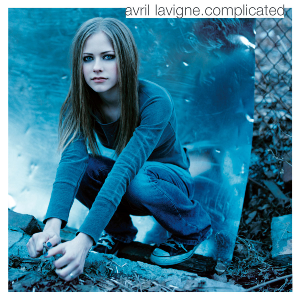 "Complicated" was nominated for two Grammy Awards for Song of the Year and Best Female Pop Vocal Performance. An NRJ Music Award is an award presented by the French radio station NRJ to honor the best in the French and worldwide music industry. 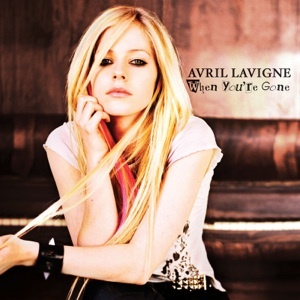 "When You're Gone" is a song by Canadian singer Avril Lavigne. It was written for Lavigne's 2007 album, The Best Damn Thing. It was co-written and produced by Walker and Welch and released as the album's second single on 19 June 2007. Loaded is a half-hour-long series on the public TV station Fuse TV. During the show, videos from one specific artist play. Usually there is a mix of old and new videos for each artist. Depending on the video length there are between 5 and 6 videos per episode. The 2003 MTV Video Music Awards aired live on August 28, 2003, honoring the best music videos from June 1, 2002, to June 9, 2003. The show was hosted by Chris Rock at the Radio City Music Hall in New York City. This year's ceremony is best remembered for Madonna kissing Britney Spears and Christina Aguilera during the show's opening performance. Park Jae-sang, known professionally as Psy, stylized PSY, is a South Korean singer, rapper, songwriter, and record producer. Psy is known domestically for his humorous videos and stage performances, and internationally for his hit single "Gangnam Style". The song's refrain was entered into The Yale Book of Quotations as one of the most famous quotations of 2012. "Gangnam Style" is the 18th K-pop single by the South Korean musician Psy. The song was released on July 15, 2012, as the lead single of his sixth studio album Psy 6, Part 1, and debuted at number one on South Korea's Gaon Chart. On December 21, 2012, "Gangnam Style" became the first YouTube video to reach one billion views. The song's music video has been viewed over 3.3 billion times on YouTube, and was the most viewed video on YouTube from November 24, 2012, when it surpassed the music video for "Baby" by Justin Bieber featuring Ludacris, to July 10, 2017, when it was surpassed by the music video for "See You Again" by Wiz Khalifa featuring Charlie Puth. 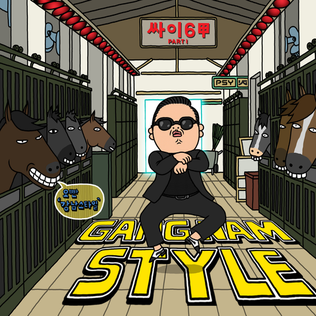 "Gangnam Style" is a single released by South Korean rapper Psy on July 15, 2012. It has achieved widespread international recognition and became the most viewed YouTube video, becoming the first one to gain a billion views on December 21, 2012. "Gangnam Style"'s unprecedented worldwide popularity was acknowledged by YouTube, who called it a "massive" hit at a global level "unlike anything we've ever seen before" while Billboard noted that "Gangnam Style" was nothing short of a pop culture phenomenon. As a result, it has influenced worldwide popular culture in many aspects. The 2013 MuchMusic Video Awards were held on Sunday June 16, 2013 at the MuchMusic headquarters in Toronto, Canada. Demi Lovato was the first performer announced. Psy served as co-host and a performer. The music video of "Gangnam Style" by recording artist Psy is currently the sixth most viewed and the fourth most liked video on YouTube. It was directed by Cho Soo-hyun. The music video was filmed in Seoul for 48 straight hours. The video was premiered on July 15, 2012 and was later made available to download digitally on October 19. In the music video Psy "pokes fun at the style of Seoul's Gangnam-gu, a flashy district with high rents, high expectations and a focus on the high-status lifestyle". In December 2012, the music video was the first to hit 1 billion views on the video-sharing website YouTube and in June 2014 the video had surpassed 2 billion views. As of March 2019, the video has received over 3.3 billion views. ↑ "Marc Klasfeld". The New York Times . 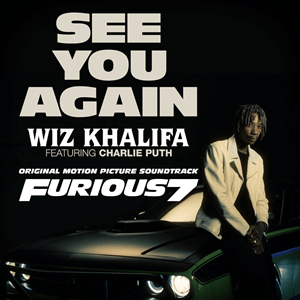 ↑ YouTube has a new all-time chart-topper: Wiz Khalifa’s “See You Again feat. Charlie Puth” surpassed Psy’s “Gangnam Style” as the most-watched video on the Google-owned service late Monday, breaking a nearly five-year-long streak for the Korean pop sensation. ↑ Savage, Mark (July 11, 2017). "Gangnam Style is no longer the most-played video on YouTube". BBC News . BBC Online . Retrieved 11 July 2017. 1 2 "'Scarface School Play' director steps forward: 'It was a lot of fun'". The Los Angeles Times . 2010-03-30. ↑ Olsen, Mark (2006-08-11). "`L.A. Riot' comes up far short of spectacular". The Los Angeles Times . ↑ Dreisinger, Baz (2005-06-19). "Can laughs meet riot?". The Los Angeles Times . ↑ L.A. Weekly Film Critics (2006-08-09). "Film Reviews". LA Weekly . ↑ "Eric Roberson - The Moon". youtube.com. YouTube. Retrieved 2015-06-13. ↑ "Born Jamericans - 'Yardcore (version 1)'". MVDBase.com (video). ASG. 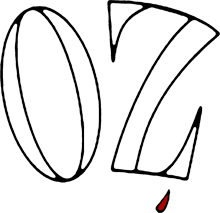 1998–2017. Retrieved 2015-06-13. ↑ "Biffy Clyro 'Howl' by Marc Klasfeld". Promo News. 10 Aug 2016.